When I’m a passenger in a car on a long ride, one of my favorite things to do is nap. I love napping in general, but napping in a car is even better because you can gain distance while doing nothing. And just like everything else in the world, a superior method exists. If seat reclining isn’t an option, normal car-nappers use things like door panels, pillars or windows to lean against. They are hard, angled surfaces at awkward angles that cut into your head and you wake up with a crease in the side of your face, thus resulting in a less-than optimal nap. Even bunching up a jacket or backpack doesn’t stop your head from sliding into your chest after a while. I, however, have discovered the perfect way to execute the perfect car nap. My method utilizes the seat belt has a headrest. To do this, you need a traditional, three-point seat belt that’s attached to a pillar. 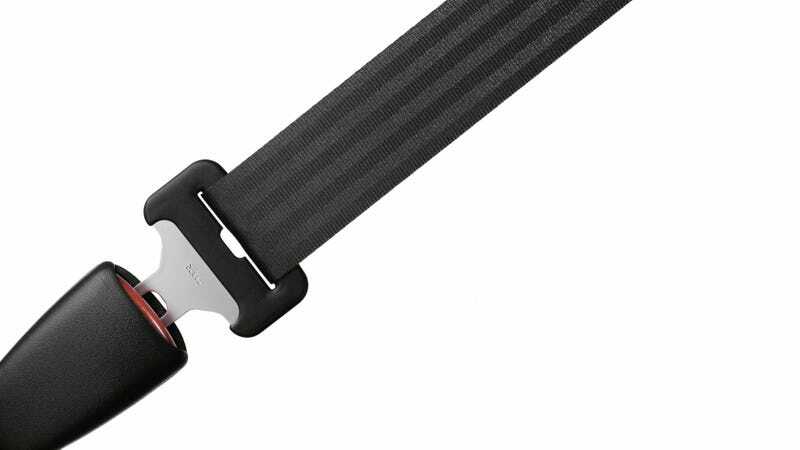 Keeping the seat belt in its natural position across my body, I jerk the cross-body section until it catches and then rest the side of my head on it. This way, the weight of my head keeps it from un-catching and it also becomes a softer and more comfortable place to rest my head/side of face while I nap. Kind of like an impromptu head hammock. I’m not sure if you have to be my size to pull this off (I’m under five feet five inches) and neither do I care, but it is by far the most effective method of car napping that I’ve come across, especially if the belt line is too high, too low or you can’t recline your seat. And, obviously, it only works if you are seated near a pillar-mounted seat belt. I have done this for multiple hours on multiple road trips and it really beats unsuccessfully trying to prop oneself up on a door while chasing the fickle critter of sleep.